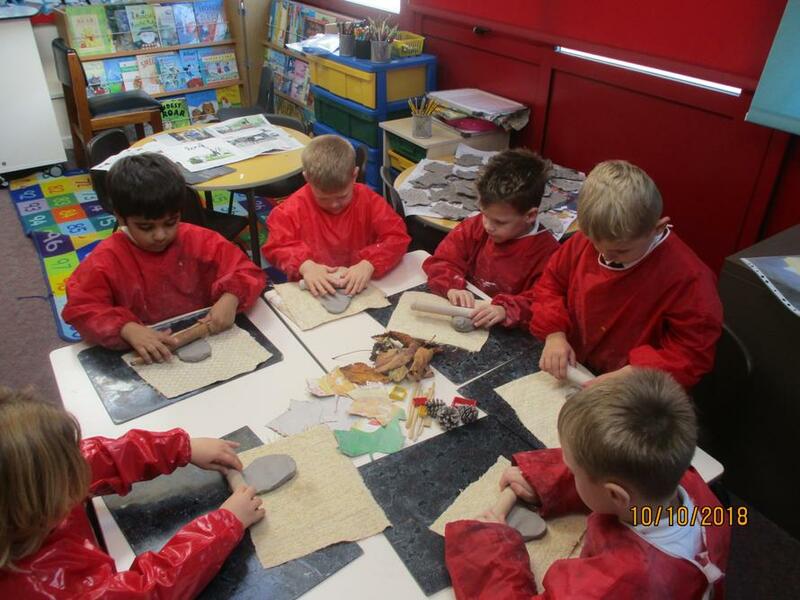 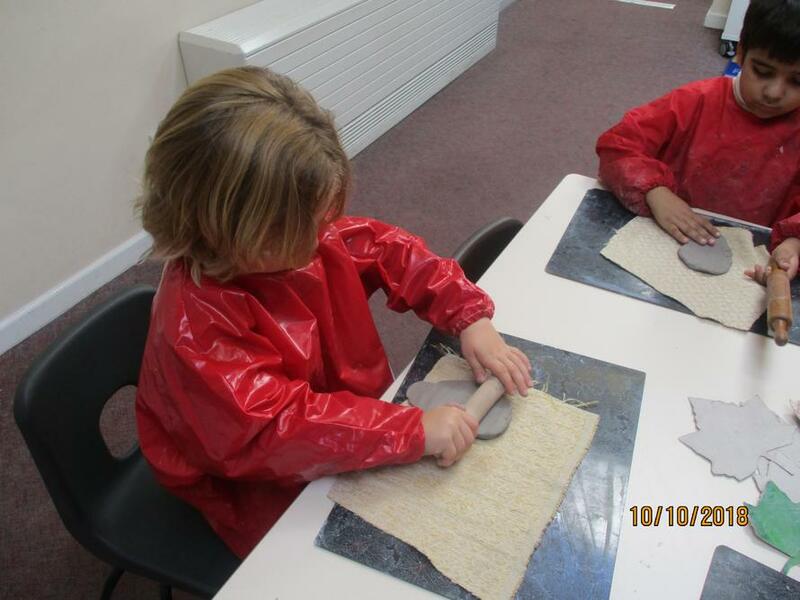 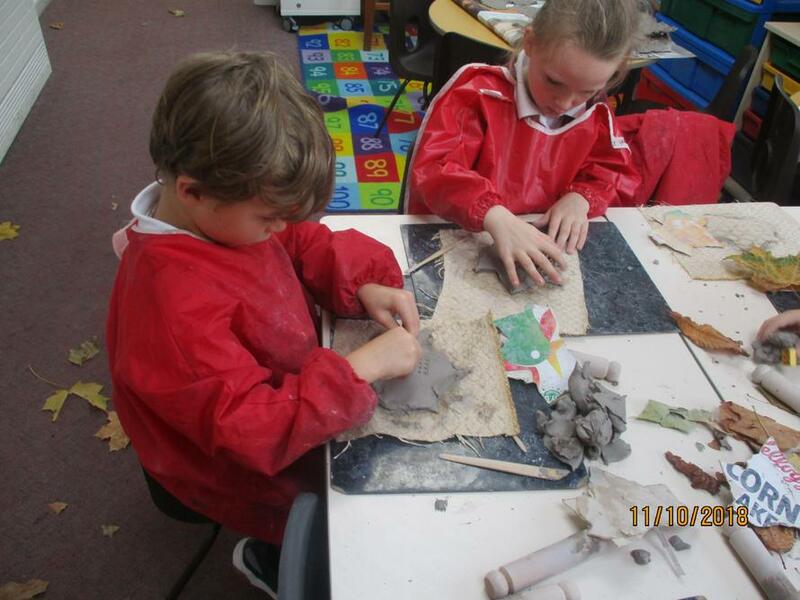 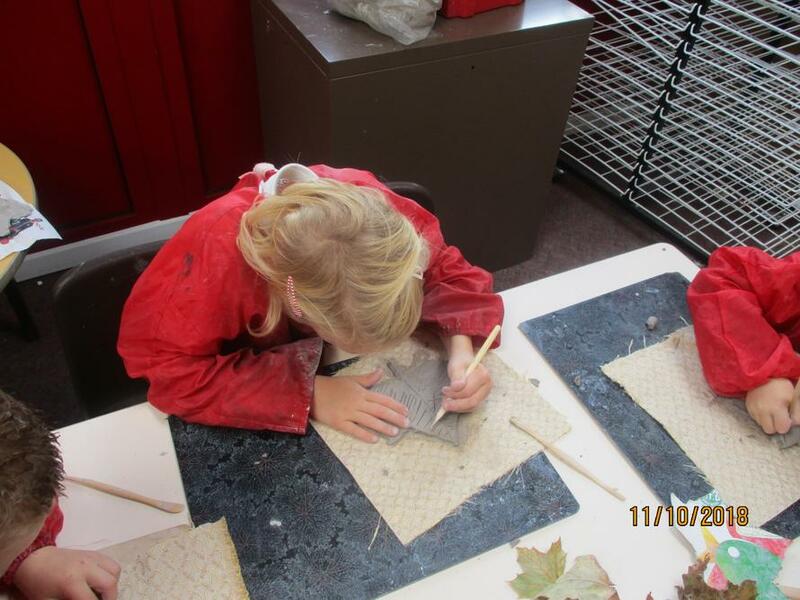 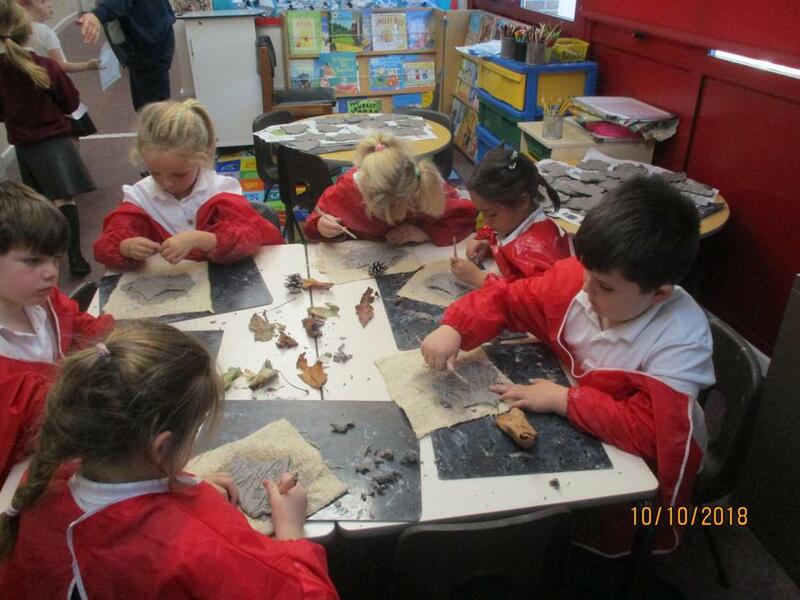 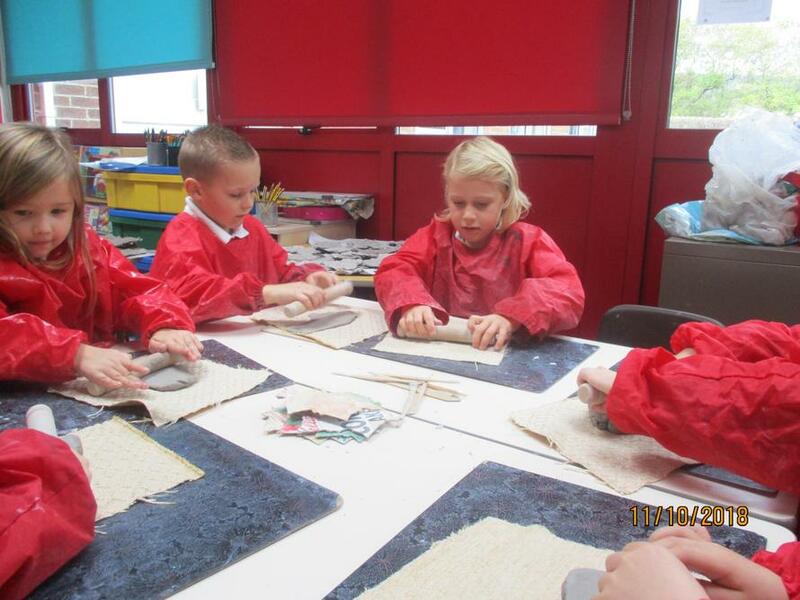 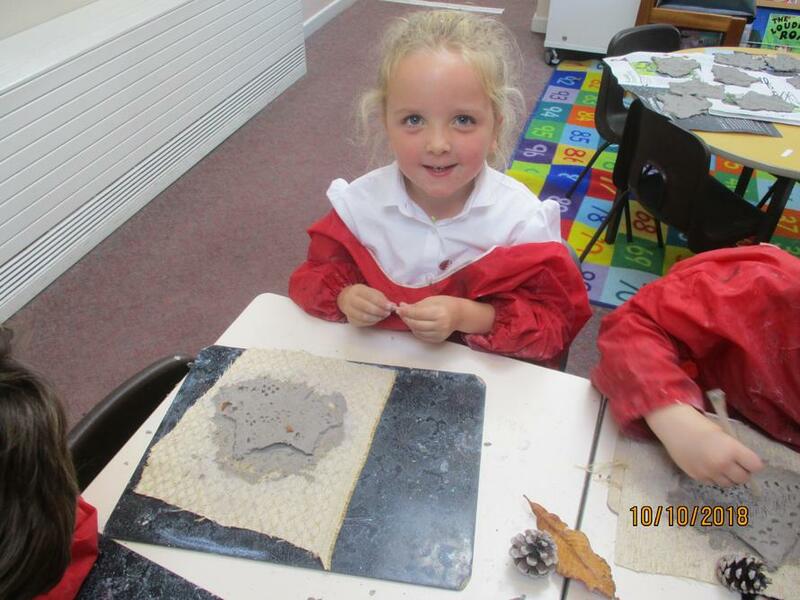 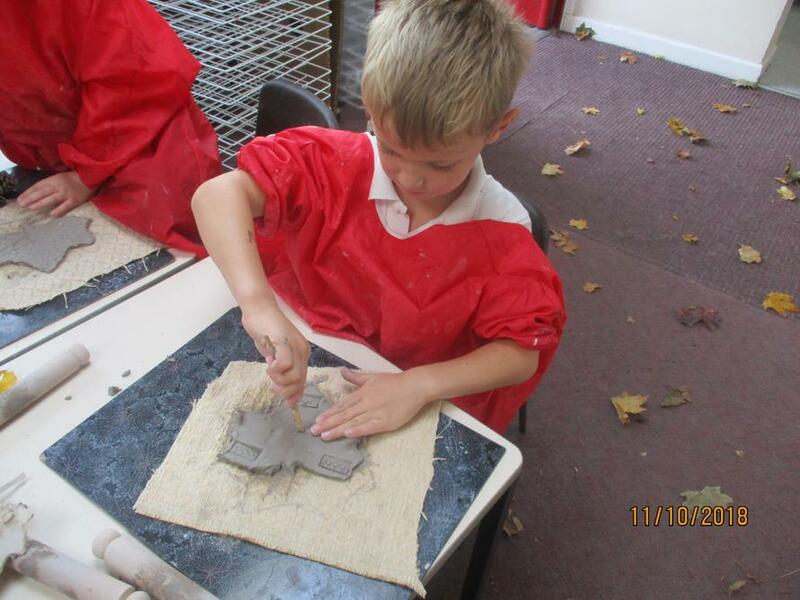 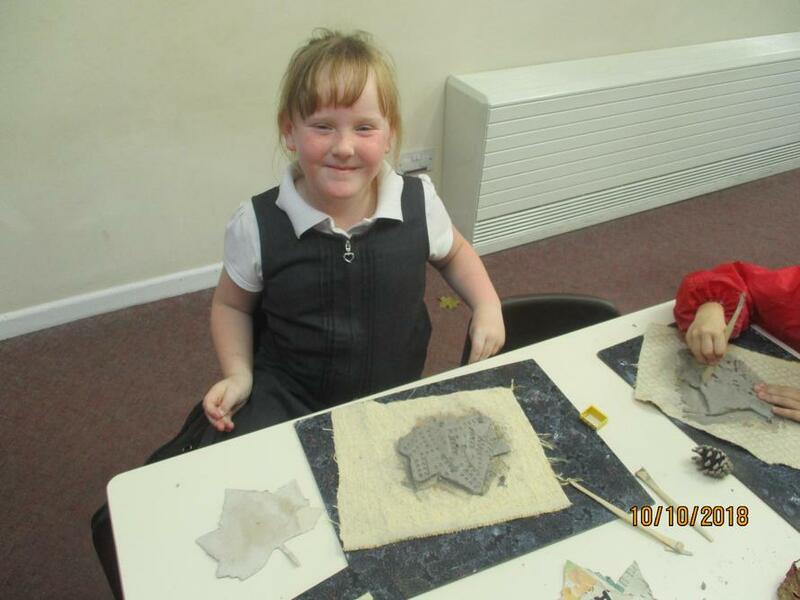 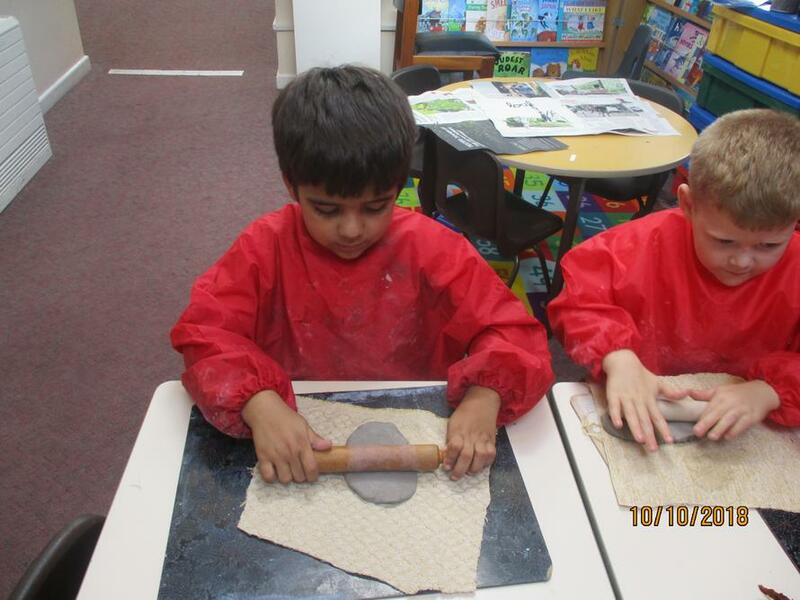 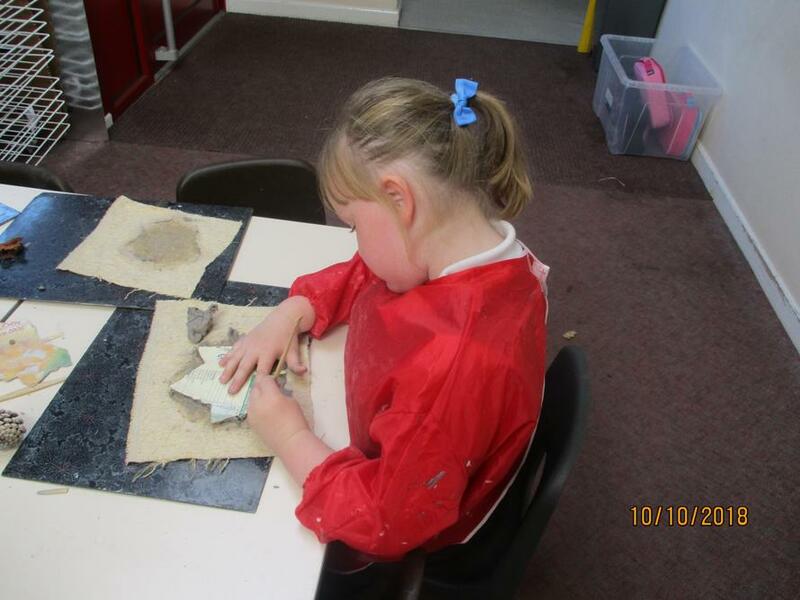 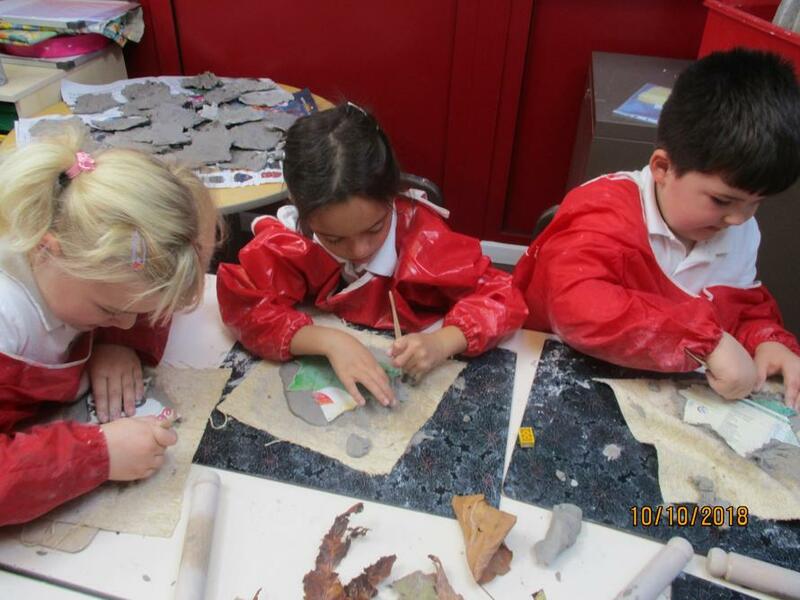 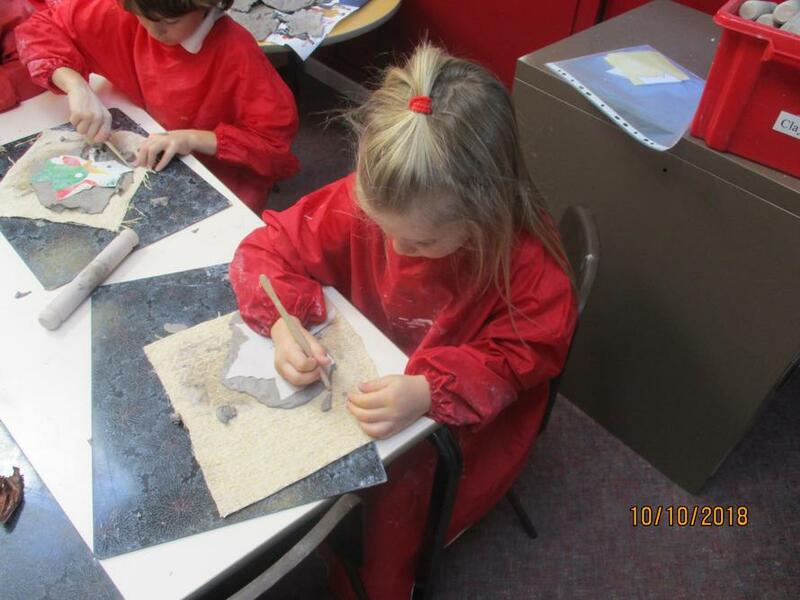 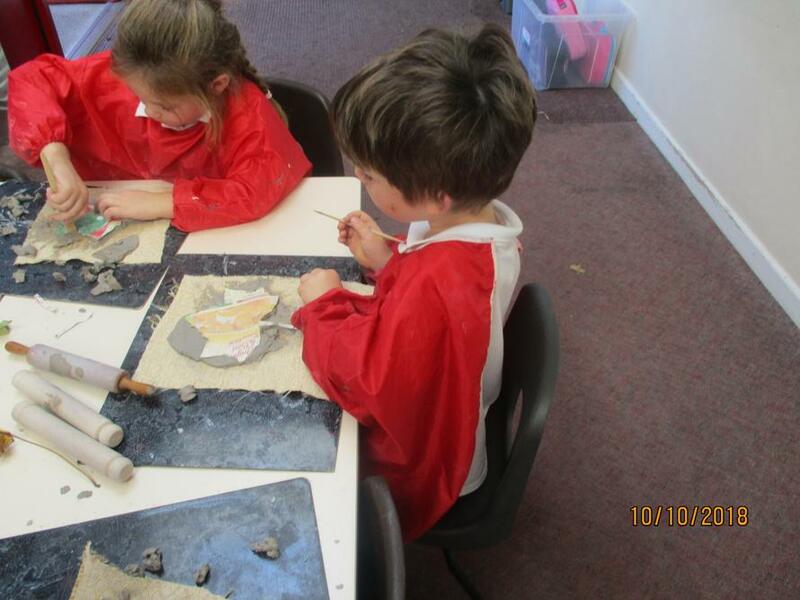 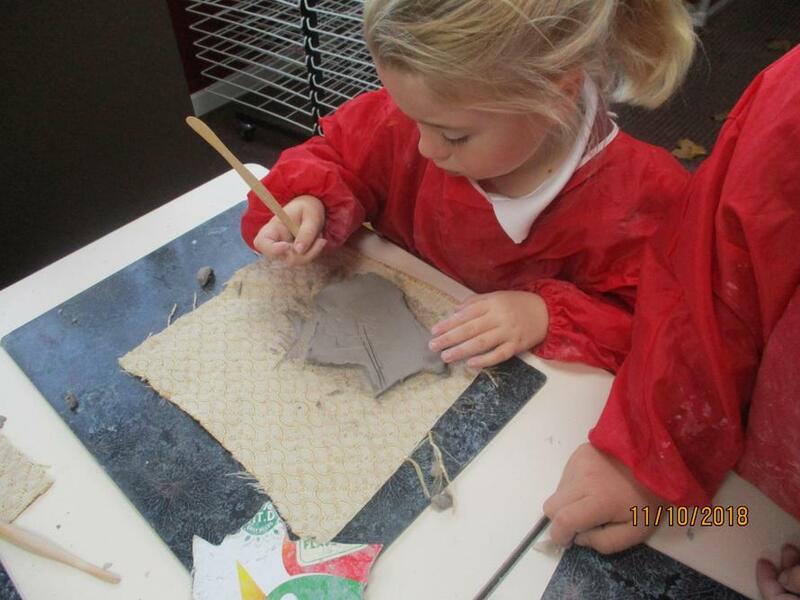 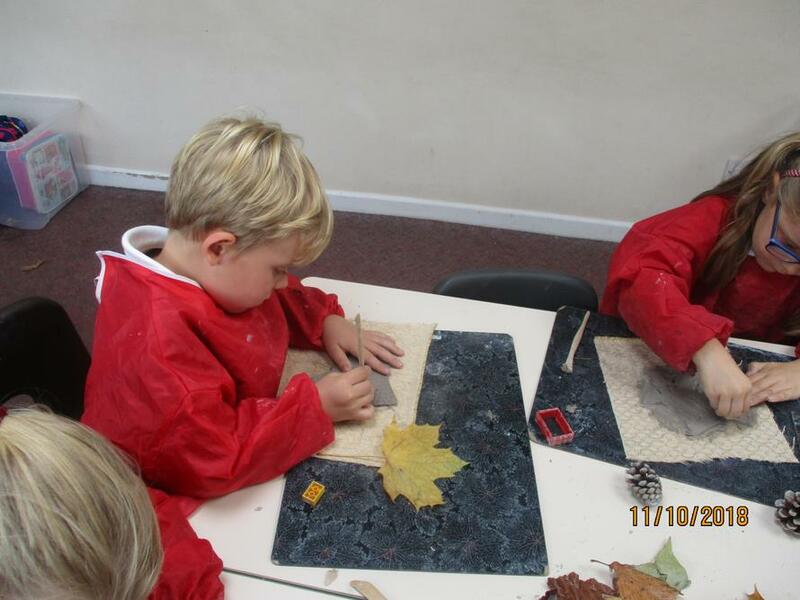 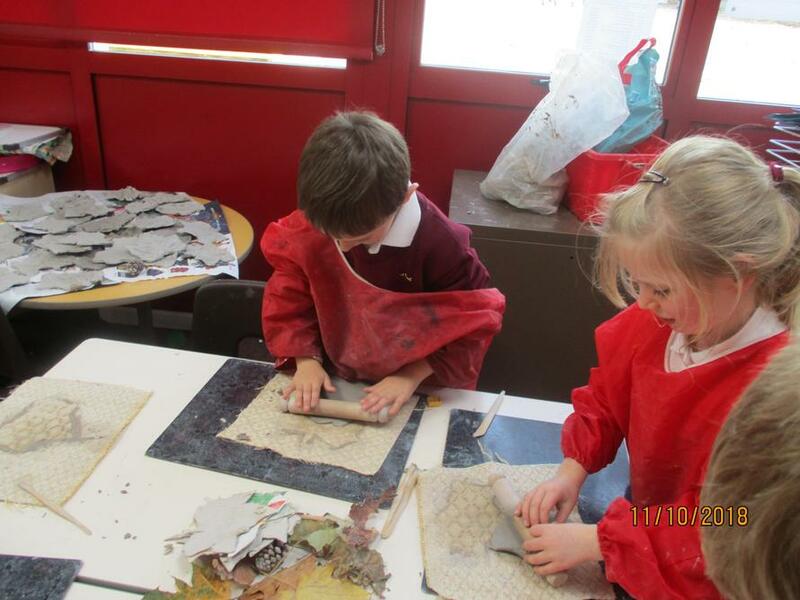 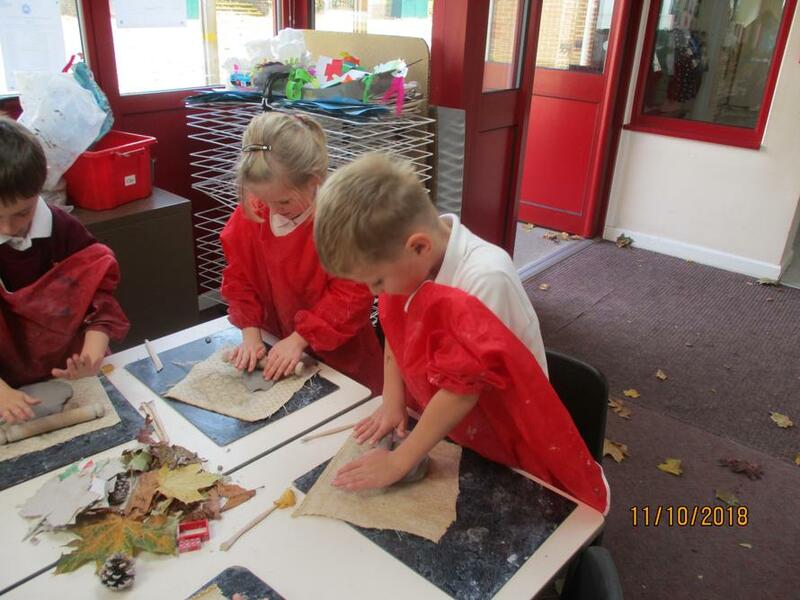 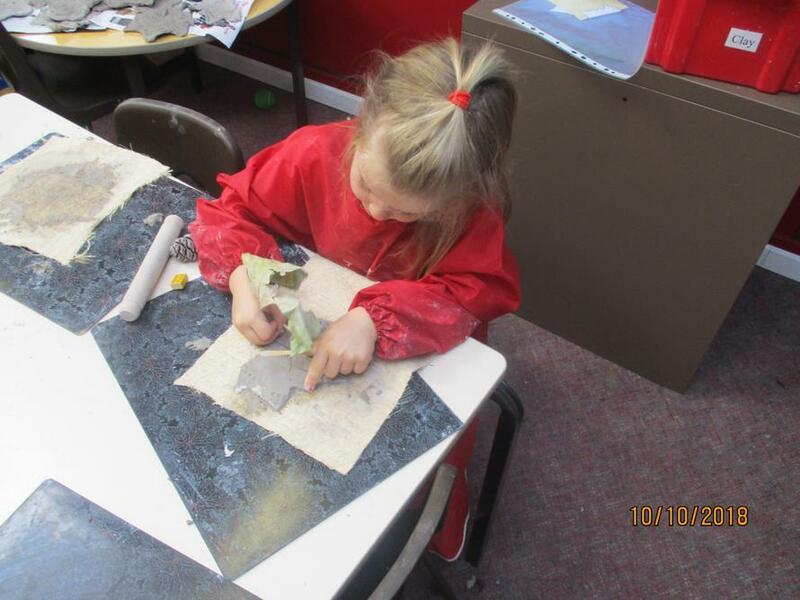 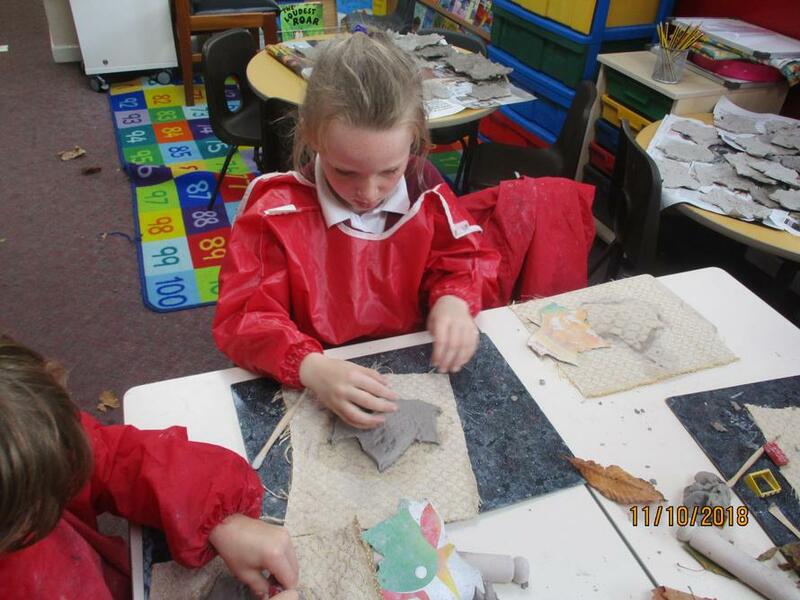 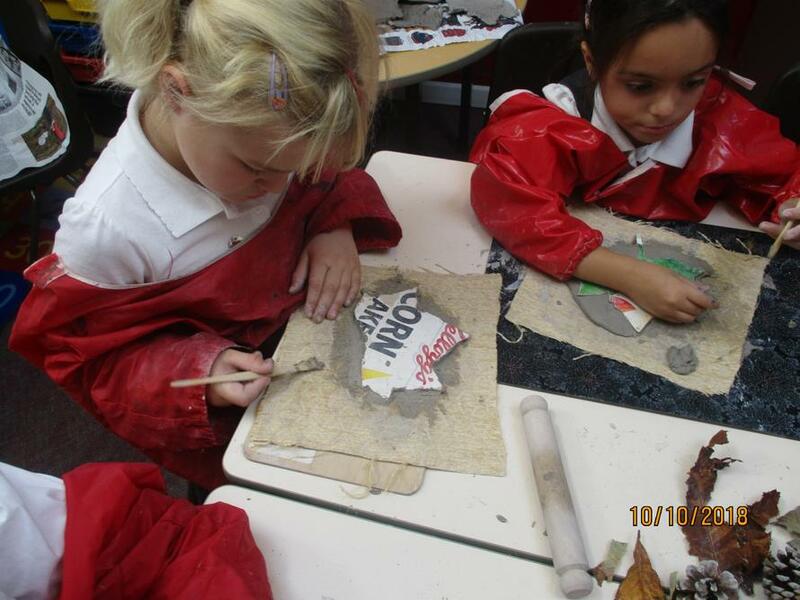 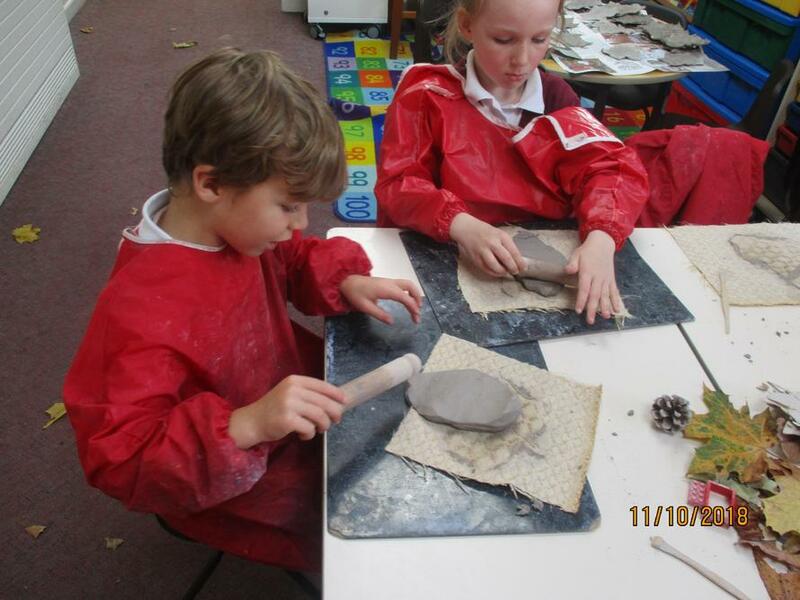 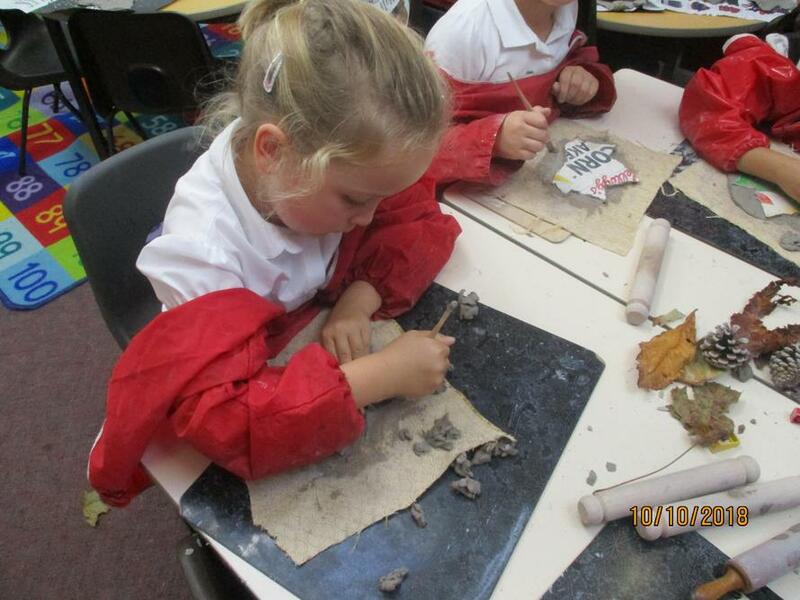 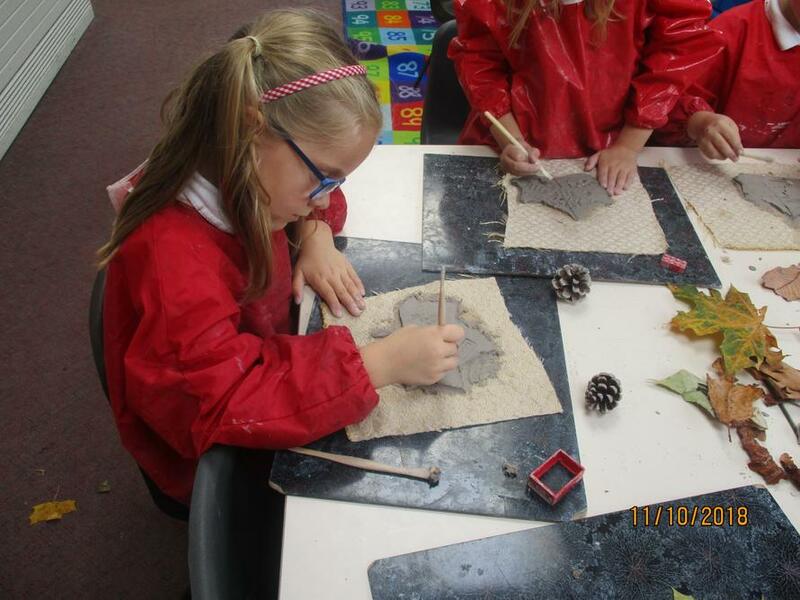 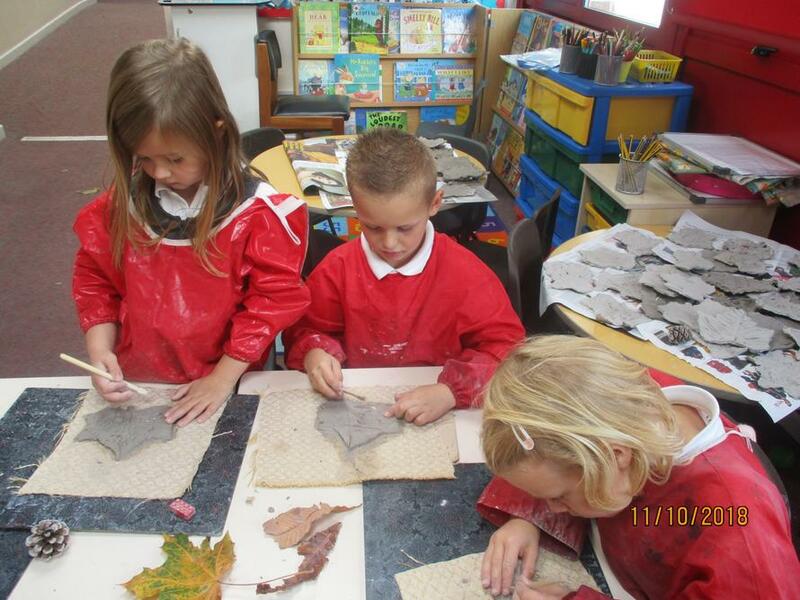 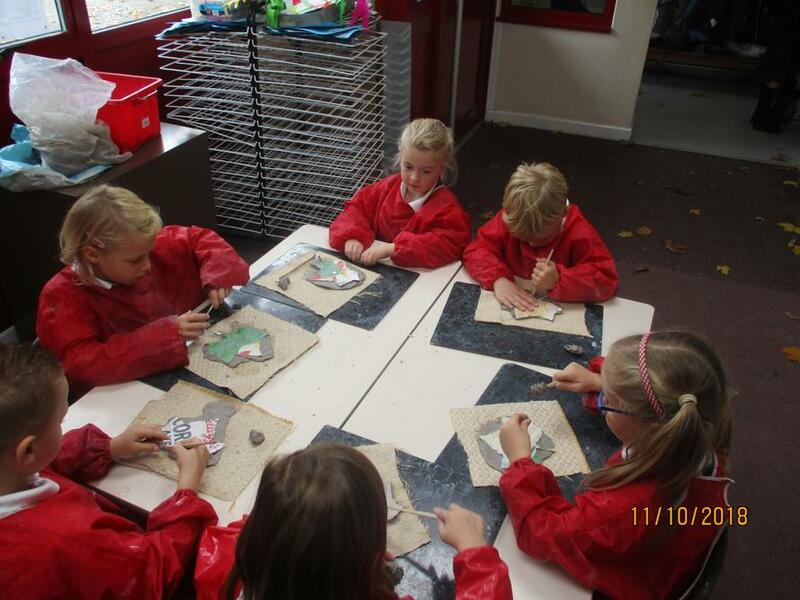 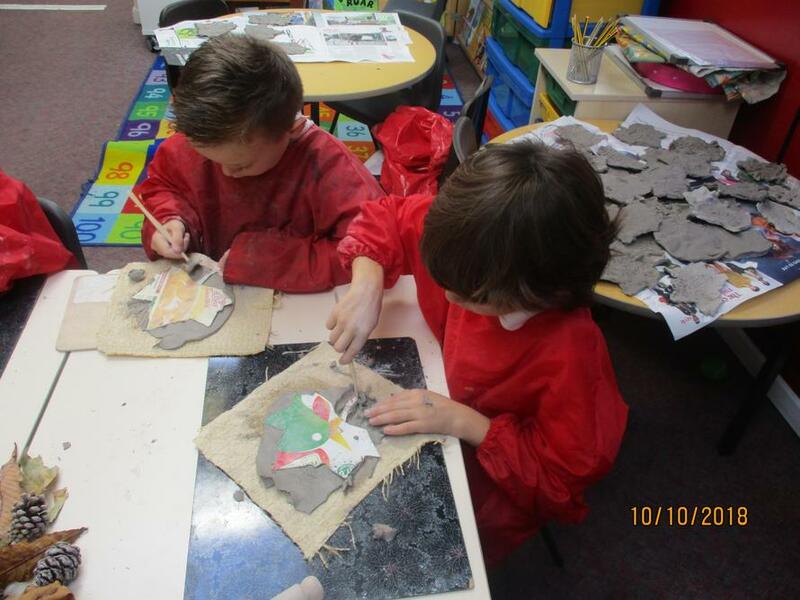 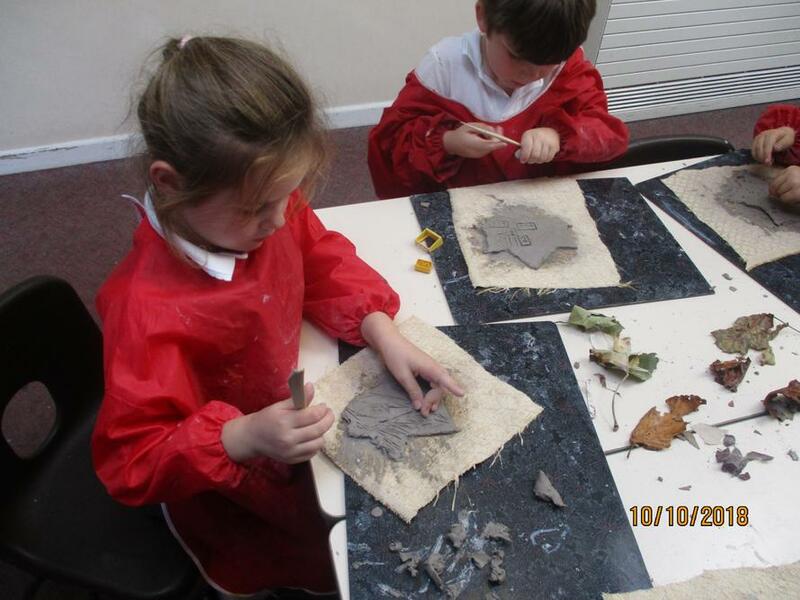 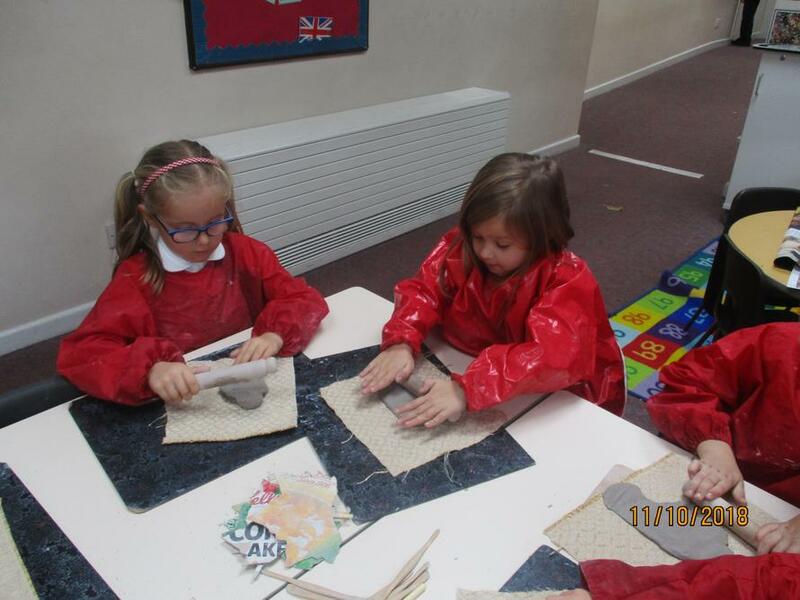 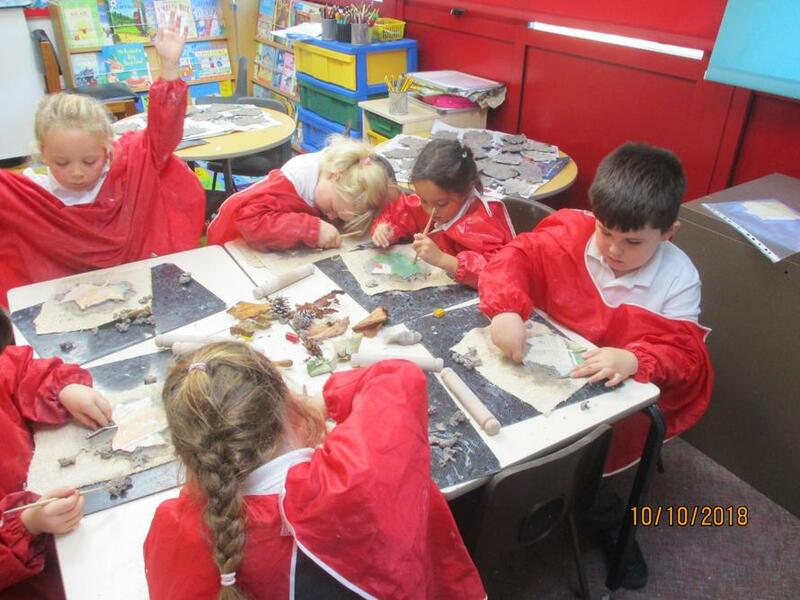 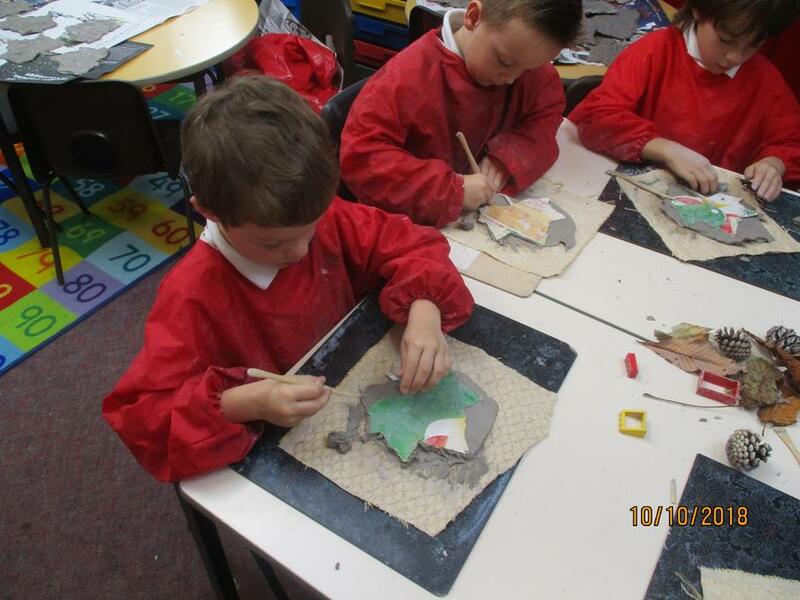 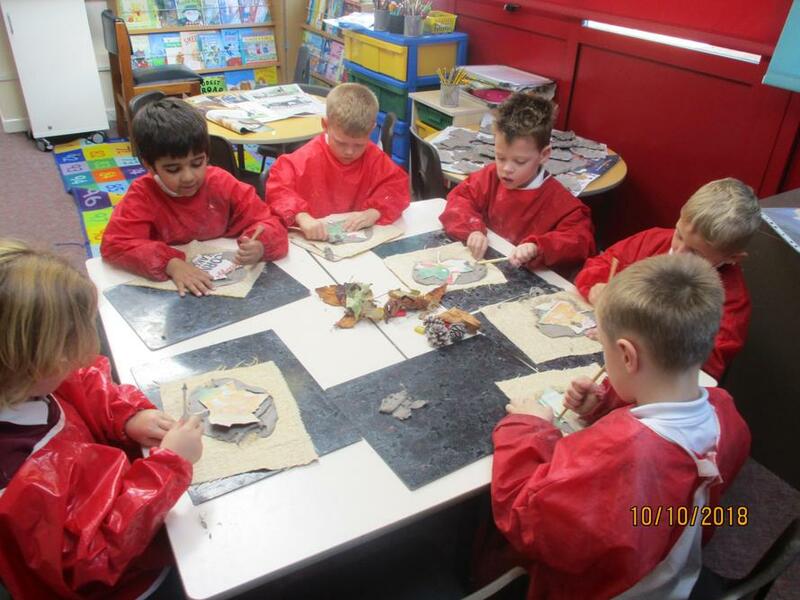 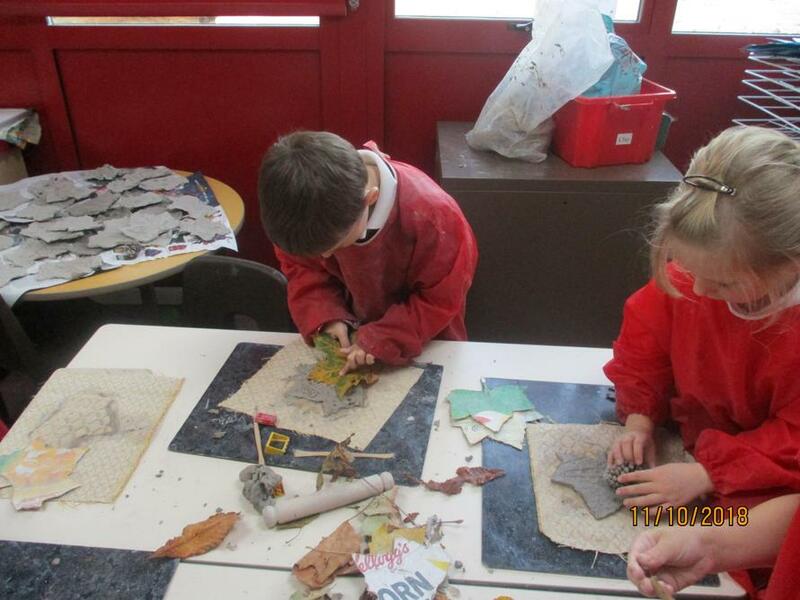 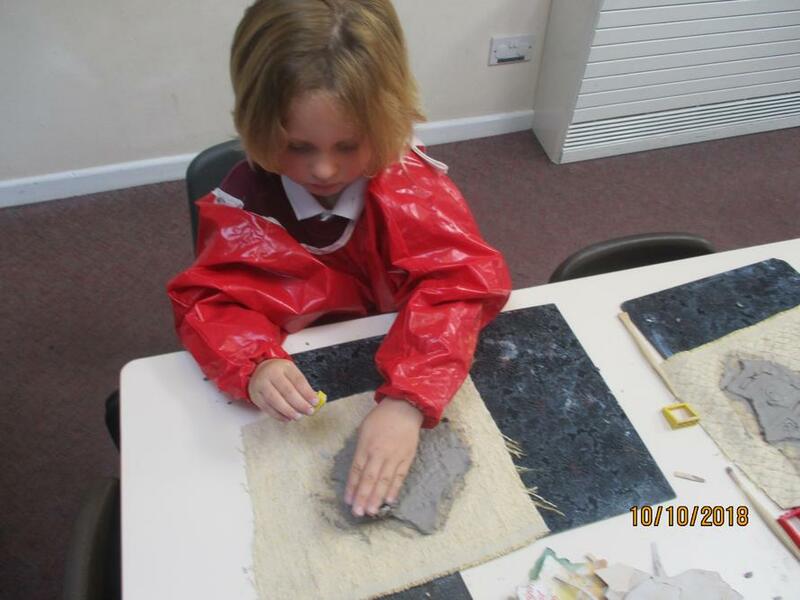 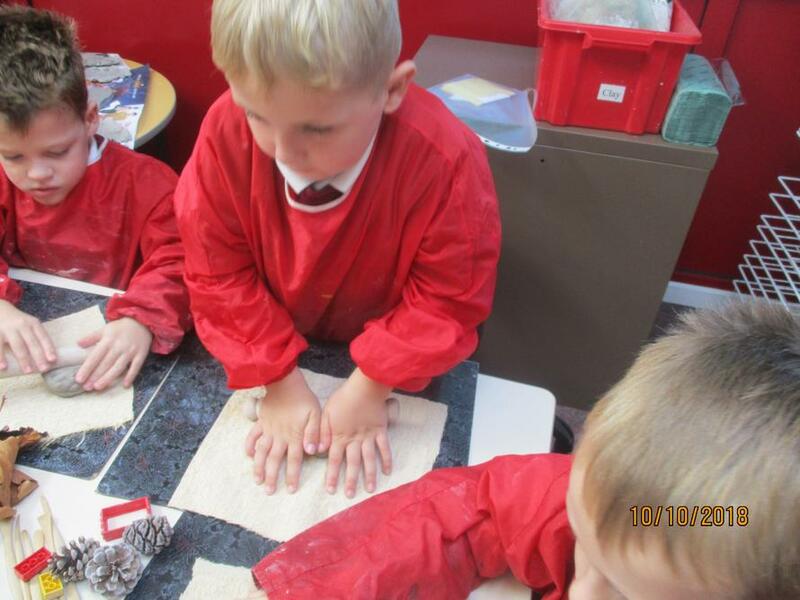 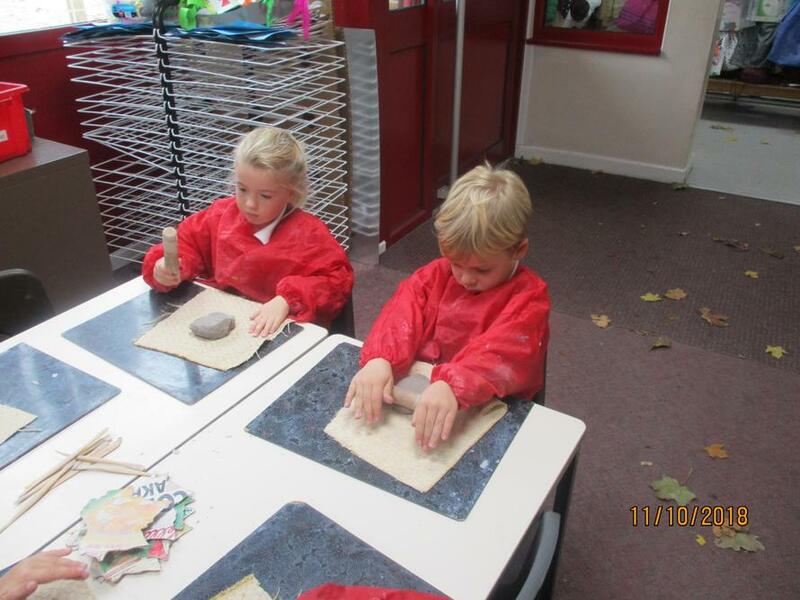 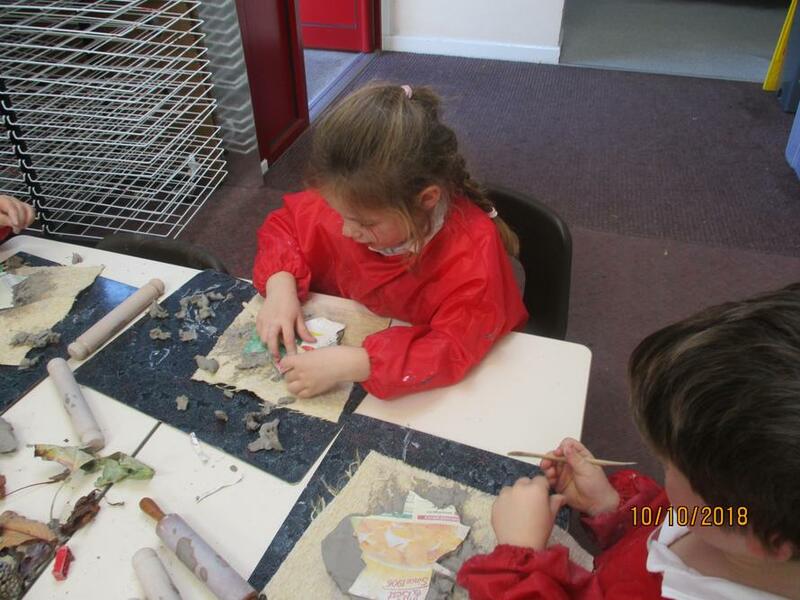 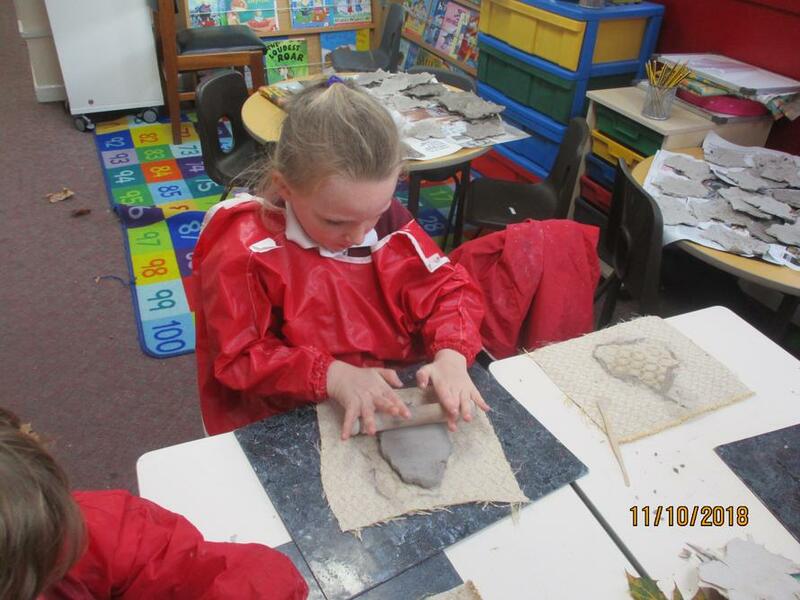 In art we looked at clay and explored how we can make different marks in it! 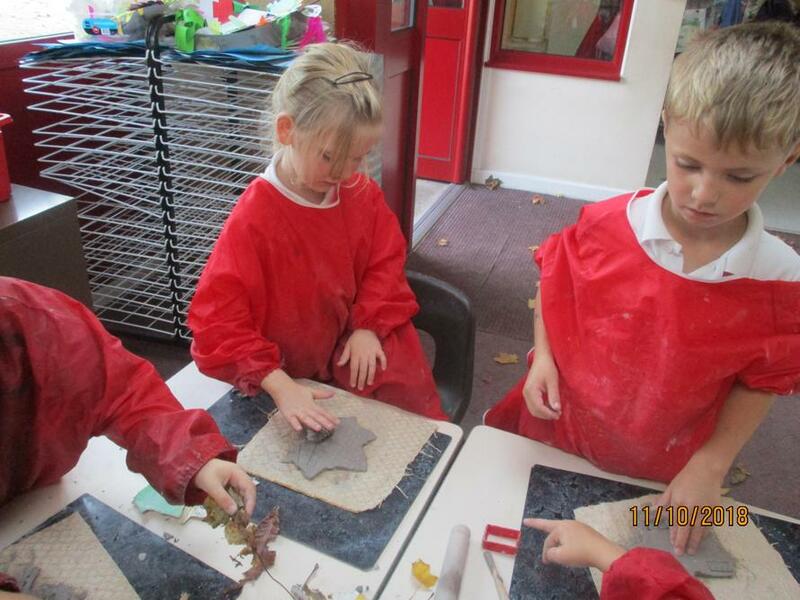 We decided to make a beautiful Autumn leaf. 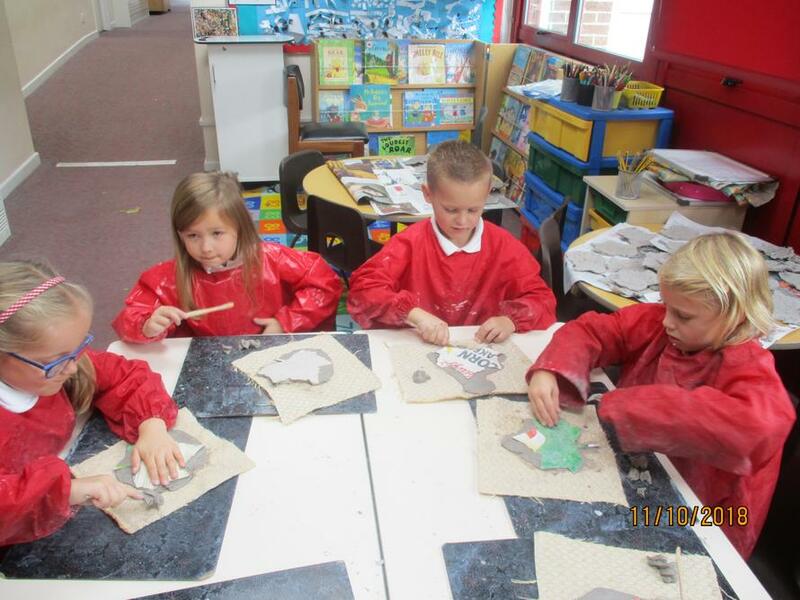 They all look so pretty.